As part of the overall vision for the Park the Friends want to create welcoming and well managed Park entrances for a more pleasant experience for all uses. Over the past few weeks some of the Friends, along with Maureen Cooper from the 15th Airedale Scouts, have been working on the project to make this happen. To date, we have sketched out ideas tailored to the position of each of three entrances, Hillside Steps, ‘Sheepfold’ and Oxford Avenue, and on Saturday 19th May work will commence. If you can make it, please do come and join us, as there will be lots of jobs to be carried out. We are teaming up with the 15th Airedale scouts who will be helping us out as part of their “Scout Community Week” and they will be officially renaming the sheepfold entrance: which at the moment goes by a variety of names including churn stand, old man’s corner, and that ‘funny triangular bit’. At this stage the focus will be on clearing the ground, digging it over, and planting a variety of plants of shrubs. 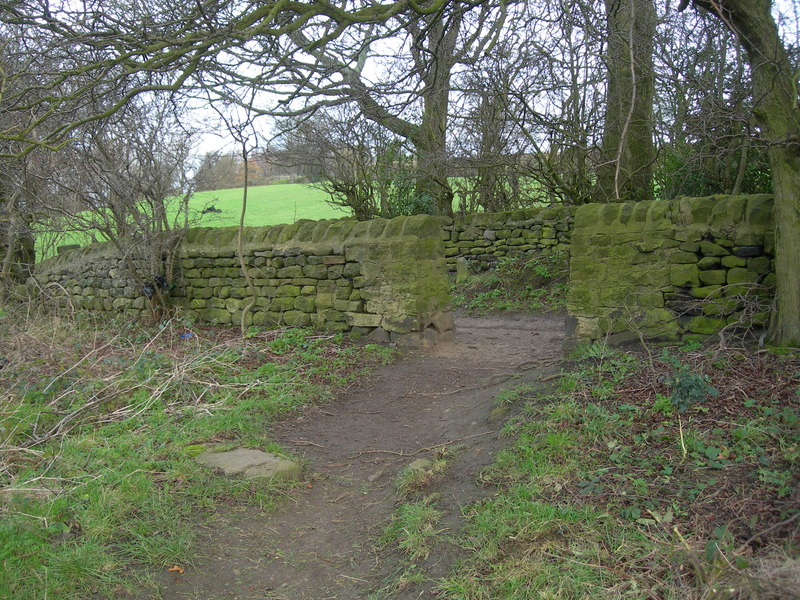 The sheepfold entrance will be the focus of the work on Saturday. The aim here is to create a peaceful and relaxing area in which to retreat and rewind, whilst taking in the wonderful views across to Ilkley Moor. In time we will have one or two benches here, which will be nestled amongst a sea of wild flowers. This is quite a large area and will require a fair amount of preparation to remove stones, branches and litter before any planting can begin. A small amount of wildflower plug plants have been purchased to start the area off as well as a number of plants which have been donated by friends. Further plants may be added in the Autumn, depending on how well plants establish themselves over the summer. If time allows, we may also be painting the gates and the steps with wood stain in order to protect and enhance the appearance. And, maybe, starting work on the other gates; Sue Jackson and Steve Magson, are aiming to create an aromatic entry at Oxford Avenue, using herbs and some of the logs in the Park: they have taken the old Oxford Avenue allotments for inspiration. Meanwhile, Nicola and Jon Denson have plans for a shady tunnel opening up to the dramatic view of Hawksworth Moor, over at the Hillside steps. If anyone has any native wilflower plants, or plants that may be suitable, they would like to donate to the park please get in touch via the website or by the email parkinsonspark@gmail.com. If you can come and help on Saturday 19th May, that will be most welcome, meet at the “Sheepfold” entrance at 10:00 with a finish of about 13:00. You will need stout footwear and ideally protective gloves. Also, please bring garden forks and rakes to help us clear the ground etc. Hope to see plenty of people. This entry was posted in Events, Facilities, Friends and tagged gates, hillside steps, Oxford Avenue, plants, scouts, sheepfold. Bookmark the permalink.